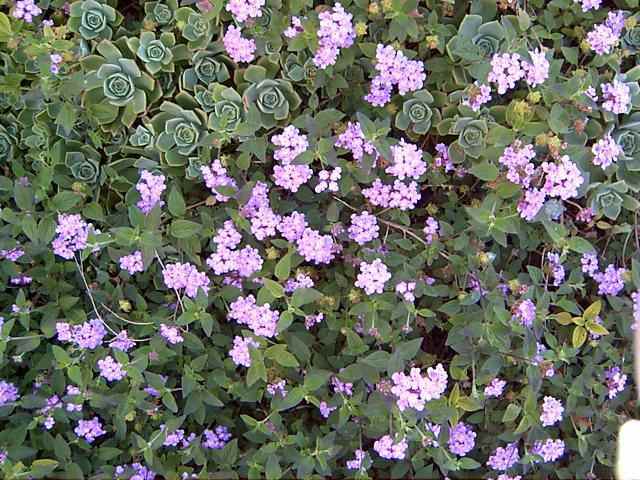 This lovely plant is beloved by butterflies. the butterflies, with their delicate wings, prefer an open sunny environment. They also find blue or violet flowers most attractive. have won the Messenger award for Greenest Classroom in the Eastern suburbs. Our Permaculture group started the first garden at the School in the 1990s. so that students from the Special Unit can share the experience of gardening. children who would have been hidden away or institutionalised when I was a child. are amazed & delighted by what has been achieved. Last Saturday was my granddaughter's 18th.birthday - she is now legally an adult. she is reluctant to enrol to vote. and the behaviour of politicians of all parties really puts her off. It's tragic that she, & her peers, should be so disillusioned so young. that passes for politics these days. Aren't you? Co2 is/is not a pollutant!Purleeze!!! what does the terminology matter? for the lifestyle most of us enjoy! were economic refugees from the austeries of post-war Britain. And the boat we travelled in was safe & comfortable. thousands of refugees from post-war Europe. The challenge now is one of scale. The world is groaning with people who, by being born in the wrong place at the wrong time, cannot improve their lives except by extreme measures. these are people who are prepared to take risks, & who have initiative. They may well become the leaven in the loaf - the kind of people we need to change our society for the better. If you're still with me, let's go into the garden................Early in the morning I am awakened by birdsong. I hear Wattlebirds, Willie Wagtails, New Holland Honeyeaters, Ravens, Kookaburras, Noisy Miners (drat them! ), Adelaide Rosellas, various Lorikeets, Peewits, Magpies, & those gloriously musical illegal immigrants, Blackbirds. Once the sun has risen, the sound of bees can be heard even in the house, feasting on the nectar of Mandarin, Lemon, & Orange blossom. Their fragrance fills the house as soon as I open a door. Borage, Calendula, Holy Basil, Tilisandra, Iris, & even one shy Chocolate Lily are in bloom, the Salsify is sending up flower stems, & buds are appearing on the Feijoia. The roses are covered in buds - please dear Goddess, if you send aphis, send ladybirds too! Although something nasty has happened to the Avocado, I haven't yet given up hope of the tree's eventual recovery. Everything points to poison, since, just as the tree began to flower, all the flowers suddenly died overnight, then the leaves quickly followed. It's a sad sight, & the birds really miss the shelter. And there won't be any almonds for the birds this year, as the Possums ate all the blossom! But the tree is already in full leaf, while young leaves have started appearing on the sultana vine, the fig & the Persimmon. Since the Jerusalem artichokes are already pushing up, I took a chance on the soil temperature, & set out the Sweet Potato slips. And I'm going to try another Choko - not near the house this time! I'm still finding fallen Macadamia nuts every morning, even though the tree has begun flowering, & Lemons this year are so plentiful I can't give them away. 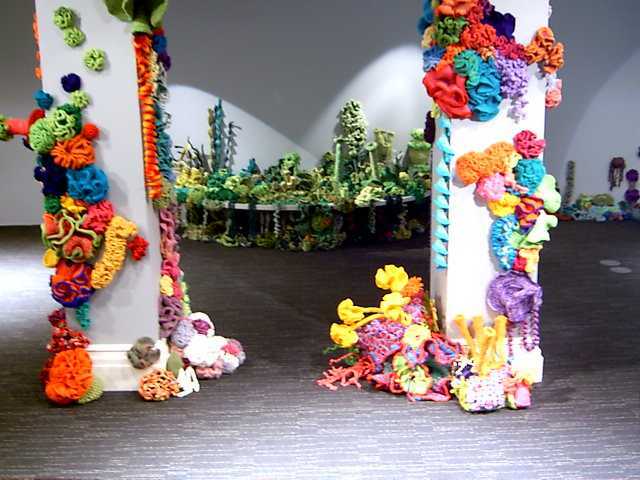 The crocheted reef which I & a number of friends helped to create, exhibited in August & early September was a huge success, so will be on show again during December & January, at the Science Exchange aka RiAus, in Exchange Place. Moving Planet is a worldwide climate solutions rally, a day to move beyond fossil fuels. It's also the last screening of Friend's of the Earth's Film Festival, at the Box Factory. of how & where to recycle things, especially those which don't go into kerbside bins. My personal preference is to find ways of re-using things, recycling being at the end of my list. You can read some of the weird & wonderful uses I have found for discarded items starting here. There's 4 pages so far, including one very long one. I'd love to have your contributions. 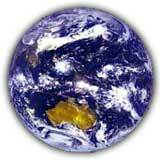 all over the planet at this time. in honour of the Norse goddess of renewal. accompanies the Equinoctes in both hemispheres. the leaves of deciduous trees begin to change colour. all year round in the latitudes in which they evolved. means plants need to be carefully protected from wind and frost damage.